Iron Man 3 my favorite of the sequels. Mainly because the Mandarin, sure he didn’t turn out to be the villain I wanted towards the end but first half of the film was really good and we got a Pepper Potts in a iron suit, can you say Rescue? Thor: The Dark World was a fantastic follow up, finally Thor vs creature monsters and evil elf’s. When I think of a Thor movie this is what I want from a Thor movie. Captain America: The Winter Soldier is probably on everyone’s top five MCU movie list but not mine… Don’t get me wrong it’s a great movie but not a great comic book movie. It’s a spy thriller simple as that… Guardians of the Galaxy was a fun movie, but Batista was in it. See, I have this thing about wrestlers in movies where they’re not portraying a wrestler. I still think The Rock isn’t all that good at acting. Jumanji: Welcome to the Jungle was good but you know he was the star in DOOM right? And those Fast movies are all out of wack. Now we get to the least fan favorite MCU film and one of my top fives, Avengers: Age of Ultron. The opening scene is fantastic! That splash page shot when everyone is in the air posing how can you not get hyped for what’s about to come. It’s been said Joss Whedon had his reins pulled in and didn’t make the movie he wanted. I don’t see it, every time I watch AOU it’s solid. I wouldn’t change a thing but if I had to nitpick, make Quicksilver and Scarlet Witch mutants and have that Children of the Atom story playing in the background. 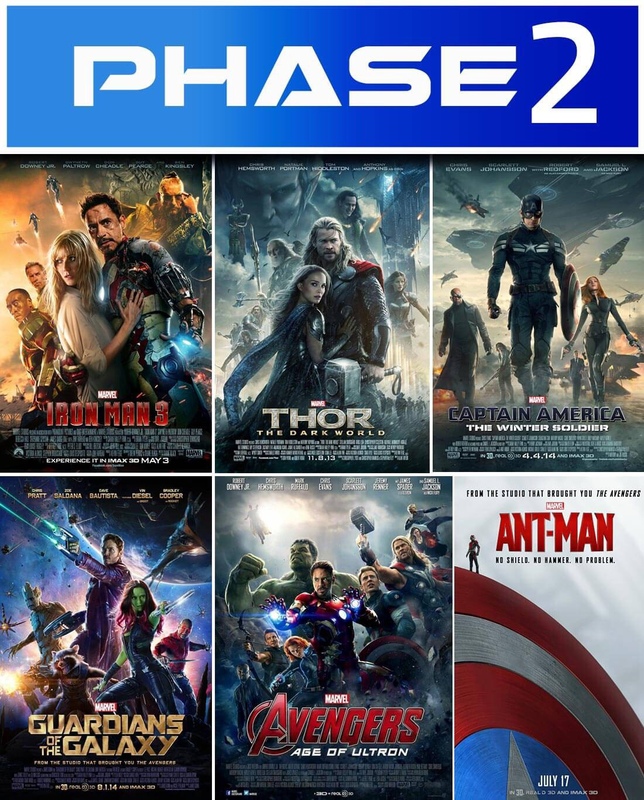 As I stated in my Phase One review Ant-Man was just a filler movie, I didn’t enjoy it all that much. I like Scott Lang but in a group setting, by himself he has no one to feed off of.